This is an incredible lesson well told. If you fold a piece of paper 25 times, it would be as tall as the Empire State Building. If you can spare less than 4 minutes, you will learn something you will never forget. 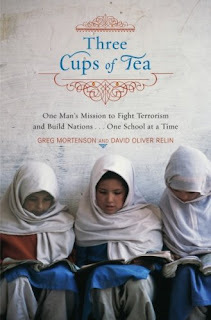 Mortenson has written a book "Three Cups Of Tea", which I haven't read, but is a best seller. If only we had an administration that understood what a good idea education is, both home and abroad.